I was so happy to find a muscle rub that worked for my husband! He gets a terrible reaction from menthol, which is the main ingredient in most OTR topical pain creams, but Sacred Mind & Body is wonderfully different. Sacred was founded on the belief that everyone should have access to natural, high quality products when it comes to caring for your body. Their products, including Pain Balm and Pain Relief Lotion, are 100% pure with nothing unnatural ever added and no rich nutrients ever taken away. Each product is created with essential oils and hemp oil, both offering healing effects. Pain Relief Balm not only restores motion from stiffness but is designed to support and rejuvenate the body’s critical physiological systems, promoting a sense of optimum wellness and health. This perfectly balanced topical blend provides one of the most effective combinations of natural hemp oil extract and anti-inflammatory essential oils, all designed to leave you feeling relief from various aches and pain. 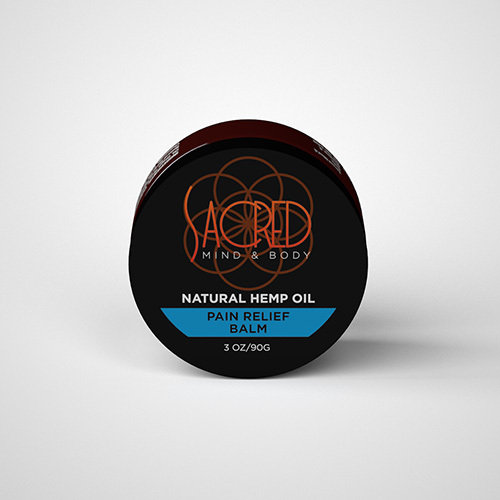 About Sacred Mind & Body: Sacred Mind & Body have spent years developing hemp oil based products after researching and sampling only the finest ingredients and essential oils. Sacred Mind & Body want you to feel like you can pamper yourself and take care of your body without having to leave your home. Sacred Mind & Body products offer peace and comfort, soothing aches and pains and the everyday stresses of life. They also offer natural products that create sensual connections between partners. A myriad of benefits that help you feel like you can escape to the spa in your own home.